Celebrating Father's Day 2016 at OLMC! Danny, Tim, Mike, & Jason...Sushi in the background! 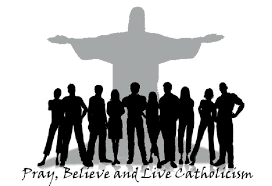 It was such a wonderful night with all the father's being served by our very own OLMC Youth & Young Adults. 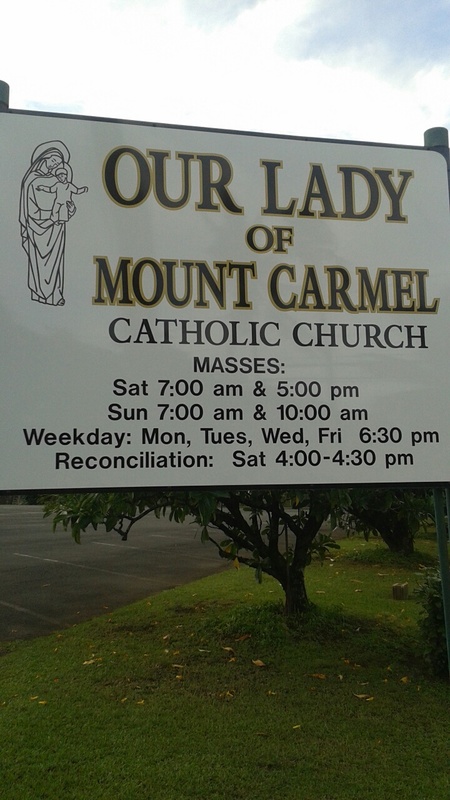 Mahalo to the father's of OLMC for all that you do! God bless. (picture to the left) On May 15, 2016 (5 PM) OLMC's very FIRST YOUTH MASS on PENTECOST DAY! 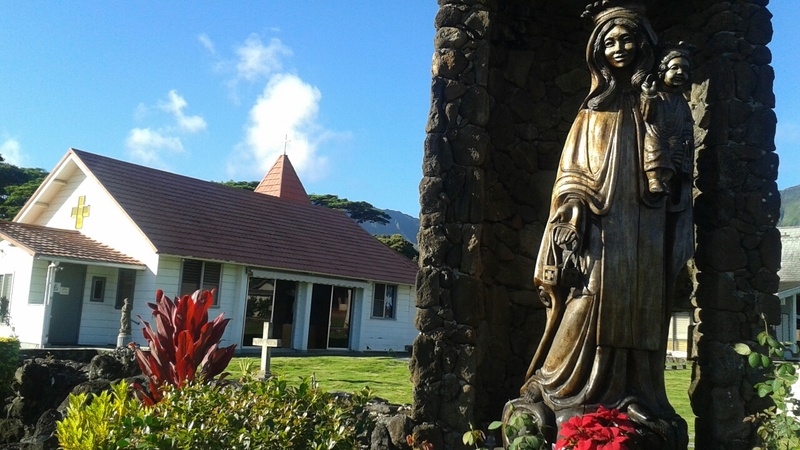 The Lau Ohana (top) Colin Lau takes the best care ever for our very own cemetery! Note: All the pictures are randomly selected for your view only. 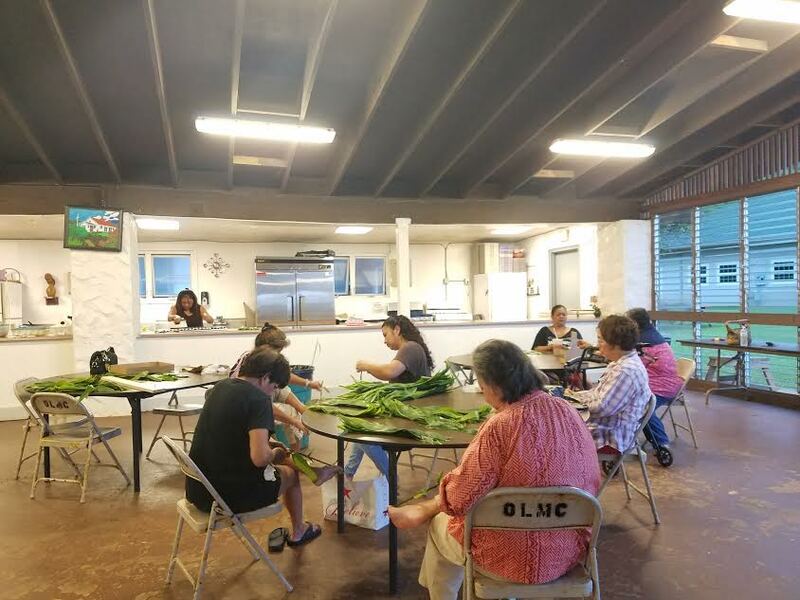 Mahalo & God bless! OLMC's ANNUAL EASTER CELEBRATION 2017 WAS AWESOME! Here's a few photos from that day...just having spirit-filled fun! 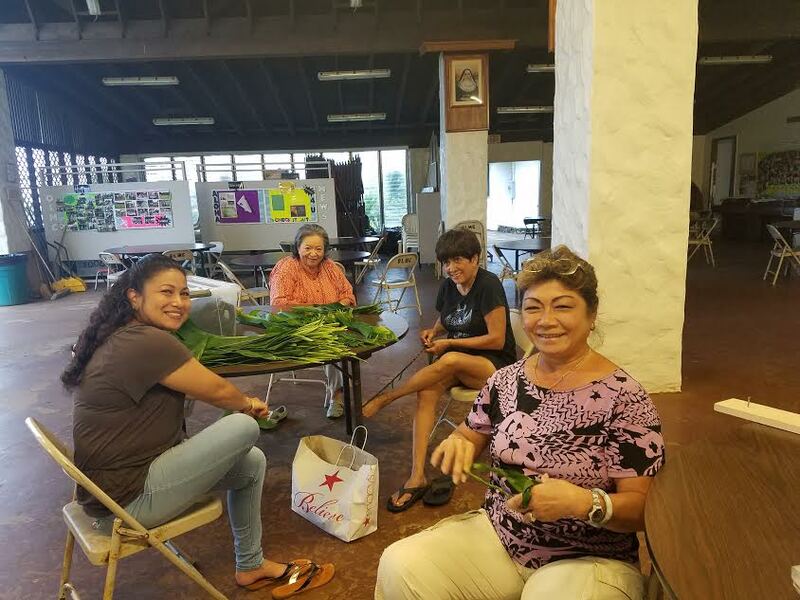 Here the ladies are preparing for the Father's Day 7am Fellowship / Hawaiian Sunday, happening on June 18, 2017!!! (Left to right) Fr. 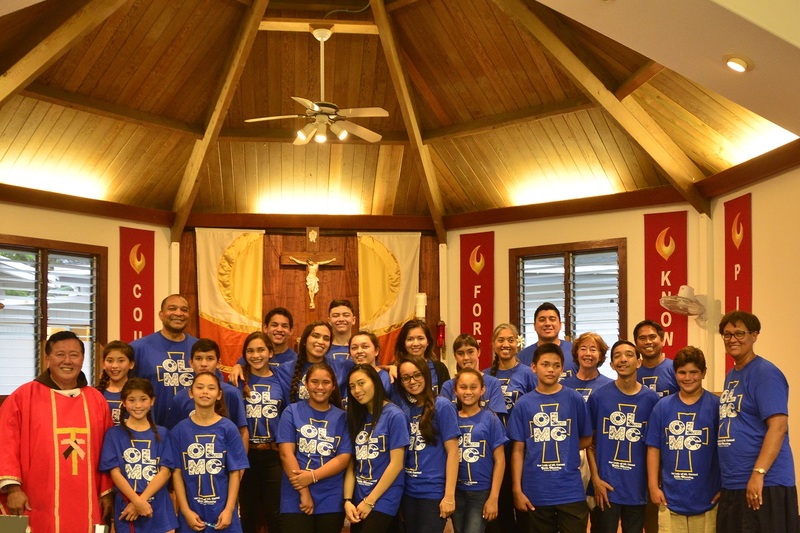 Paulo Kosaka, Sofia Suesue, Sammi Lee, Zianna Hulama-Salas, Rey Granadillios (2nd row, right to left) Fr. 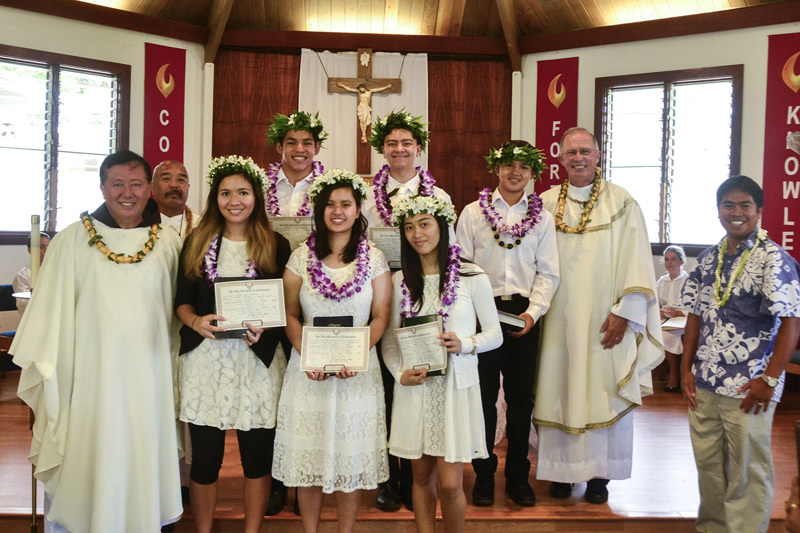 Gary Secor, Tristen Hegwood, Kala'i Souza, Ezekiel Domingo, and Dcn. John Tolentino. Harvey Recarte (left) and Larry Lopez (right) install the roof for St. Damien's picture in our parish Sts. Damien and Marianne Social Hall. Guests celebrating with us on Father's Day at OLMC, 2016! 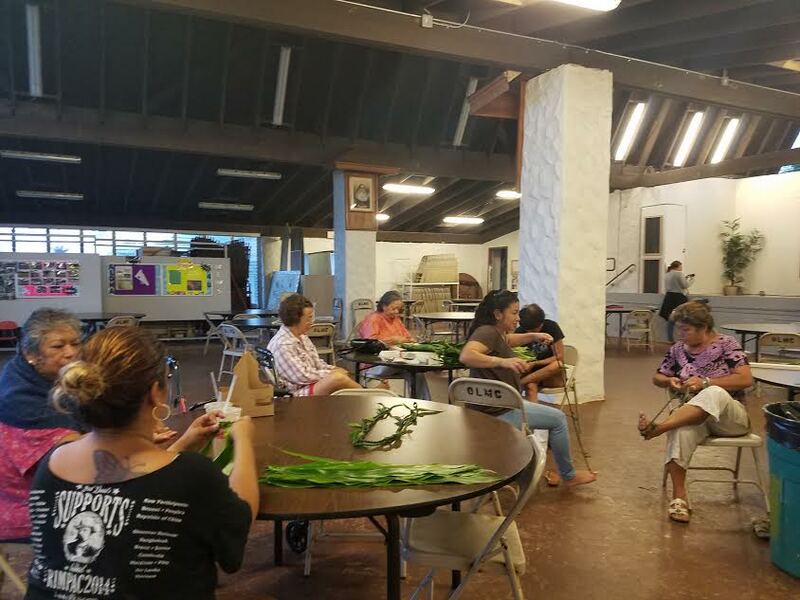 Alvin Pacheco & Lawrence Akau continue to paint Hale 'O Malia in preparation of our Feast Day, July 16, 2016! Gail Kosiorek our Building Project Mgr. We are so blessed to have Gail on the team! Thanks, Gail for all that you do!!! 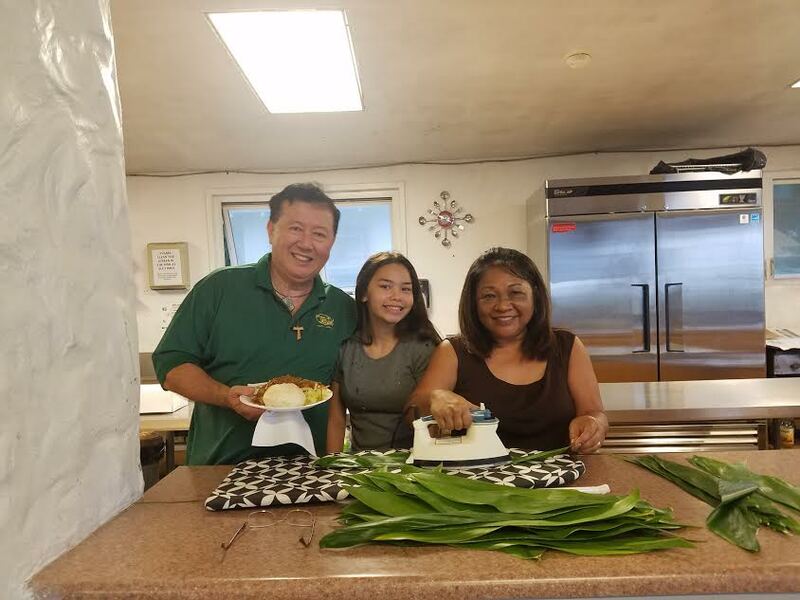 The Salas Ohana's Mother's Day gathering at OLMC! Thank U Jesus! Having lunch with the Altar Servers' at Pali Lanes in Kailua on 6/18/16! Fr. Paulo and the Cambra Ohana! This day Hoku received his First Holy Communion Sacrament! Congratulations, Hoku!